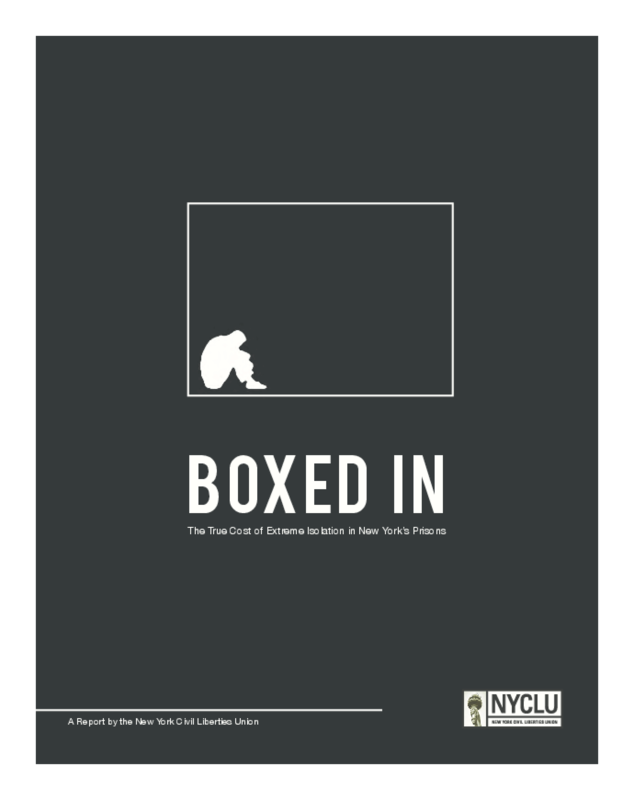 The NYCLU set out to investigate New York's use of extreme isolation. We explored the history that led to the emergence and expansion of the practice in New York. We asked who New York subjects to extreme isolation, for what reasons, and for how long. We sought to understand and articulate its effects on prisoners and their families, as well as an often-overlooked population -- the corrections staff assigned to watch them. We compared New York's use of extreme isolation with practices in other states and asked if the widespread use of the practice violates legal standards. Finally, we considered how reforming the use of extreme isolation would affect the safety of New York's prisons and communities. In order to answer these questions, the NYCLU conducted an intensive year-long investigation. We communicated with more than 100 prisoners who have spent significant amounts of time -- in one case, more than 20 years -- inside a SHU cell. We interviewed family members and corrections staff. We consulted corrections experts, mental health professionals, lawyers and academics. We read decades of DOCCS reports and press coverage recounting the history of New York's SHU expansion. We researched the scientific and academic literature regarding the use and effects of extreme isolation. We studied domestic and international legal standards governing extreme isolation and the steps undertaken by other states to reform their use of the practice. Finally, we reviewed DOCCS' internal regulations and policies and analyzed thousands of pages of official DOCCS records obtained through New York's open records laws.